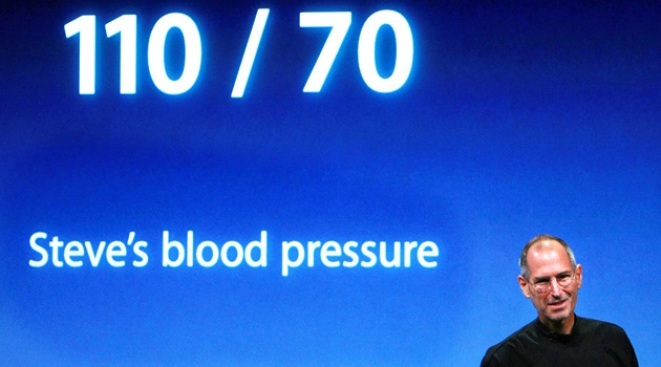 Steve Jobs's health is no longer a laughing matter, according to the SEC. How did Steve Jobs go from a "common bug" to a liver transplant in less than a year? That's the heart of the question SEC investigators are asking about how Apple disclosed the state of CEO Steve Jobs' health, a subject of intense interest from investors who have prospered as he led the iconic tech company through a now-legendary comeback. According to Bloomberg, SEC officials are specifically interested in learning whether board members who were being briefed by Jobs' doctors made full and accurate disclosures to shareholders in January. At that time, as questions arose about his absence from an annual product showcase where he normally delivers a keynote address, Jobs announced that his notable weight loss was a result of an easily treated "hormone imbalance." Then, days later, he changed his story, saying that his medical problems were "more complex" and required him to take a five-and-a-half-month medical leave. Last month, a doctor in Tennessee announced Jobs had been given a liver transplant at a hospital there. Jobs is now back at work at Apple part-time. The Apple CEO's health has been heavily discussed since he abruptly revealed in 2004 that he was undergoing surgery for pancreatic cancer -- as has his habit of secrecy. Last year, Fortune revealed that Jobs had first learned of the cancer in 2003, but delayed surgery for months while seeking alternative treatments. Apple did not disclose his illness to the public until he underwent surgery. There's one grand irony to the SEC's investigation: Months before Jobs' gaunt appearance at a July 2008 raised concerns in public about his health, SEC lawyers were aware that the Apple chief wasn't feeling up to snuff. A transcript of a deposition Jobs gave in March 2008, in a separate investigation into backdating of Apple stock options, shows SEC lawyers acting solicitous about his health. "Your counsel mentioned, and I believe you mentioned, that you're not feeling well this morning," a lawyer asked him, and also asked if he was taking any medication that would affect his ability to give testimony. Jobs said he wasn't. He did request, however, that the lawyers disclose his feeling ill if the testimony was played in front of a jury: "Just play them this part, where I'm feeling really bad or I look grimaced or anything. [So the jury knows] it's not because of the deposition, it's just because." At the end of the hours-long proceedings, Jobs said, "My body thanks you." "Just because"? That seems to be the answer Jobs likes to give when questions come up about his grateful body. It may be a year overdue, but the SEC is finally saying that's not enough.